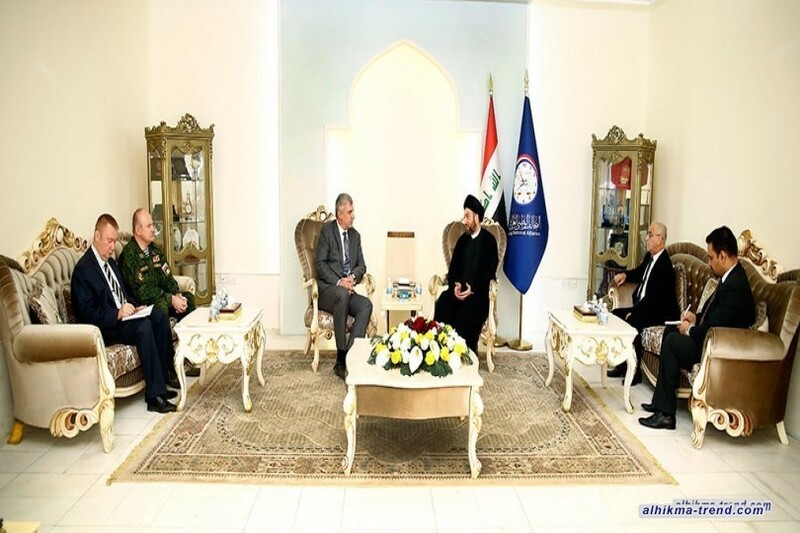 Head of the National Iraqi Alliance, Sayyid Ammar al-Hakim, met with Russian Ambassador to Baghdad Maxim Maximov Tuesday 17/10/2017, his eminence stressed that the unity of Iraq is a cornerstone for the peace and stability of the region and the wellbeing of its people and up keeping interests with the countries of the world, noted that Iraq is qualified to play the role as a bridge of communication between the teams in the region, stressed that the procedures to impose enforce security and law comes in favor of preserving the rights of everyone, first of all the people of Kurdistan and the citizens of Kirkuk. His eminence praised the international position supporting the unity of Iraq that understand the real negative repercussions that will happen to the region if Iraq is divided, God forbid, noted that the these procedures will not target anyone, but will be an important factor for Kurds to get their constitutional rights as Iraqi citizens. The Russian ambassador congratulated his eminence on the establishment of the Al-Hikma National Movement, praised the initiatives and proposals launched by the movement in solving problems and overcoming crises.